I've added a second blog to my collection: Traveler in the Kitchen. Moving forward, I'm going to be posting most of my recipes, restaurant reviews and other food obsessions there. I hope you'll hop over and take a look. Of course, right now, there is only one recipe posted, but you know there will be more to come! 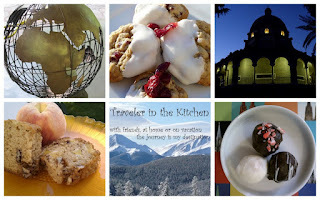 All my current foodie content on The Pursuit will stay here as well as all future posts on travel, HR, being a tourist in my hometown and other fun ramblings and writings.